Arrangements at the parish office must be made at least four months in advance, six months is the ideal! Before planning any dates at our parish- you must first meet with Fr. Dan. All Catholics must be fully initiated (sacraments of Baptism, Confirmation, Eucharist). Couples are to take part in a Preparation Program according to Diocesan Regulation (see links). The sacrament of marriage is a visible sign of God’s love for the Church. When a man and a woman are married in the Church, they pledge to be for each other the living presence of Christ's love, they center their hearts within the Heart of Christ, and with Christ will learn to grow in His love. The Sacrament of Marriage is a covenantal union in the image of the covenants between God and his people with Abraham and later with Moses at Mt. Sinai. This divine covenant can never be broken, since it is an exchange of your very person. 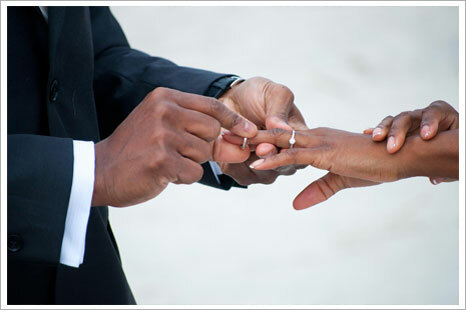 In this way, marriage is a union that bonds spouses together during their entire lifetime. The love in a married relationship is exemplified in the total gift of one’s self to another. It’s this self-giving and self-sacrificing love that we see in God's relationship between Christ and His Bride, the Church. We believe that God exists in eternal communion. Together, Father, Son and Holy Spirit are united in one being with no beginning and no end. Human beings, likewise, were created by God in God’s image for the purpose of communion with another human being and with our Triune God. "Marriage is about love, but it’s about a unique love that only a man and a woman as husband and wife can give to each other. View the sexual difference video on the Marriage is Unique for a Reason website to learn why sexual difference and complementarity between man and woman as husband and wife is essential to marriage. Only through sexual difference can a husband and a wife give themselves completely to one another – so completely that “the two become one flesh” (Gen 2:24). True marital union is not possible without sexual difference." - Marriage Unique for a Reason website April 25, 2016. Do you have any questions about marriage? Check out the answers to Frequently Asked Questions to learn more! How to get Married through the Archdiocese. Sacramental Records Release Request or Online Sacramental Record Request Form -if you made your sacraments at our Parish and need an up to date copy. Good marriage prep begins with a premarital inventory. Choose The Catholic Couple Check Up or FOCCUS. Either fulfills the premarital inventory requirement for the Archdiocese of Chicago. 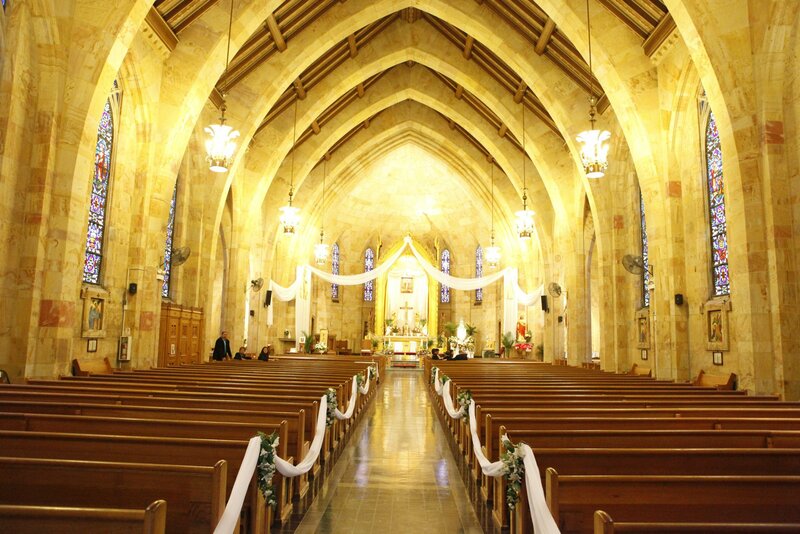 Twenty ideas for a marriage friendly parish!